Automation in IT infrastructure and services is growing at rapid pace while tools and technology are constantly evolving. 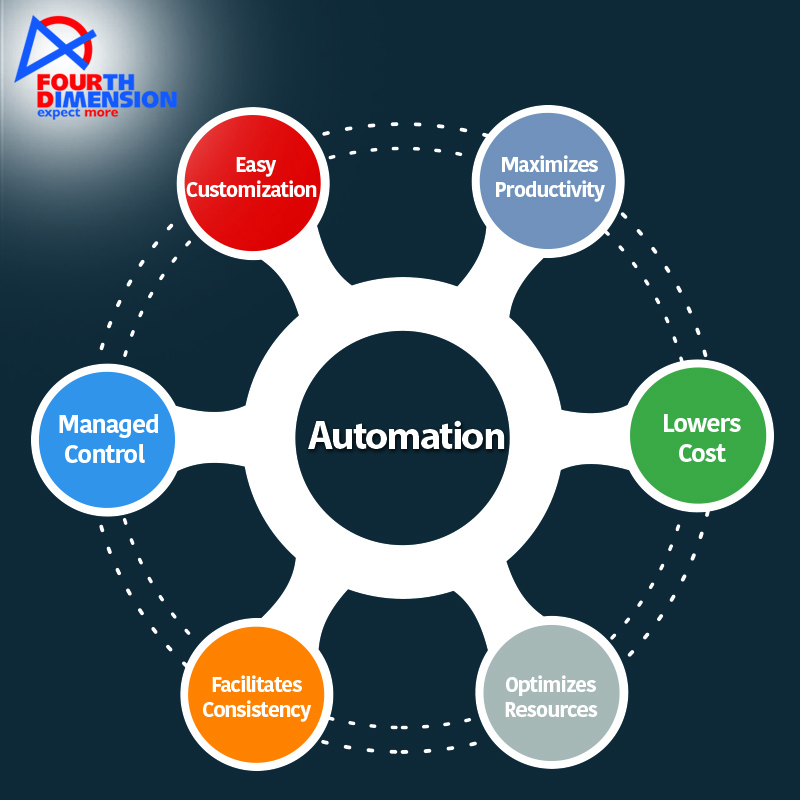 IT Process Automation (ITPA) involves automating a number of IT-related tasks with an aim to minimize inefficiencies and maximize productivity. There is always a business situation that needs to be addressed to streamline processes and eliminate unnecessary costs. ITPA mainly helps businesses come out of such situations easily and reduces labor-intensive manual tasks. Managed service providers (MSPs) are always at the crossroads of technology change and thus have to deal with the automation as a major change. To meet commitments on service levels and ensure profitability, MSPs constantly jostle with time, cost, and accuracy in resolving incidents. In such a scenario, service automation can be great deal for MSPs to manage processes remotely across sites through multiple channels. Also, in a super saturated industry, it is necessary for MSPs to reduce costs and transfer the benefit to their customers. This can be perfectly done by adopting automation. • Maximizes Productivity: Automation of IT processes helps do away with manual tasks, thus saving operations time and increasing productivity. • Brings More Value to Customers: MSPs can pass the savings earned through automation to their customers, thus offering better service at a lower price. As a result, customers have more value per unit spent. • Makes Cloud Transition Easier for Clients: Moving to cloud from traditional setup is a complicated process for many enterprises. ITPA reduces the complexity by a substantial level and helps MSPs make cloud transition smooth for their clients and thus earn their trust. • Optimizes Resources: With automation, MSPs are able to serve their clients quicker with fewer people. They are able to manage multiple locations with consistent and equivalent control and support. • Facilitates Consistency: ITPA increases output consistency and improves system recovery time. This translates into improved service levels for the provider as there is less downtime. • Provides Managed Control: Automating does not take control away from the management, rather gives room for managed control. The management can choose to include human checkpoints for taking decisions at various levels of the workflow. At these checkpoints, the process owners are presented the current information via SMS, email, IM or phone and allowed to take the next step for the process to proceed. • Helps with Easy Customization: MSPs can choose to use available automation workflows for common IT functions and customize more complicated processes that are specific to their line of business. This helps to be put efforts only on the required and core processes and improve their overall resource utilization and profitability. With more technological solutions coming up to manage their work more efficiently and cost-effectively, MSPs are accepting changes for better sustainability. Automation, in general, and ITPA, in particular, will be the most suitable ways for MSPs to achieve this goal.